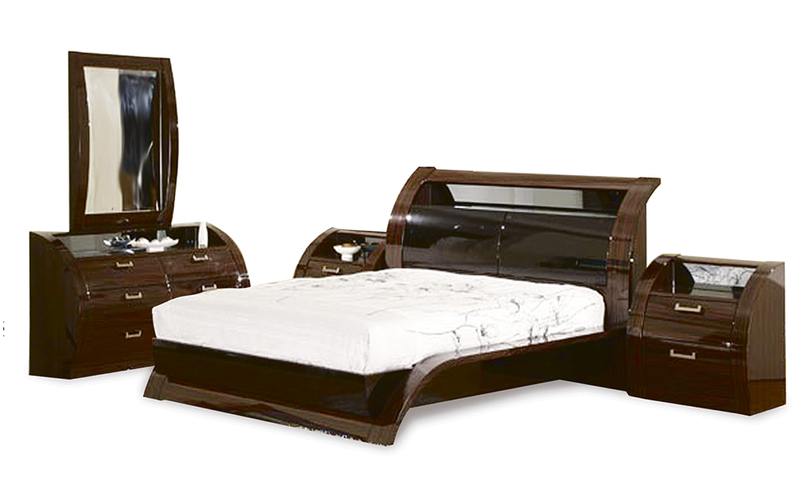 This bedroom suite consists of a bed, 2 pedestals, a dresser and mirror. The rounded edges create a look of sophistication, style and elegance to compliment any bedroom. Storage components are available in the headboard – Mattress and accessories are optional.